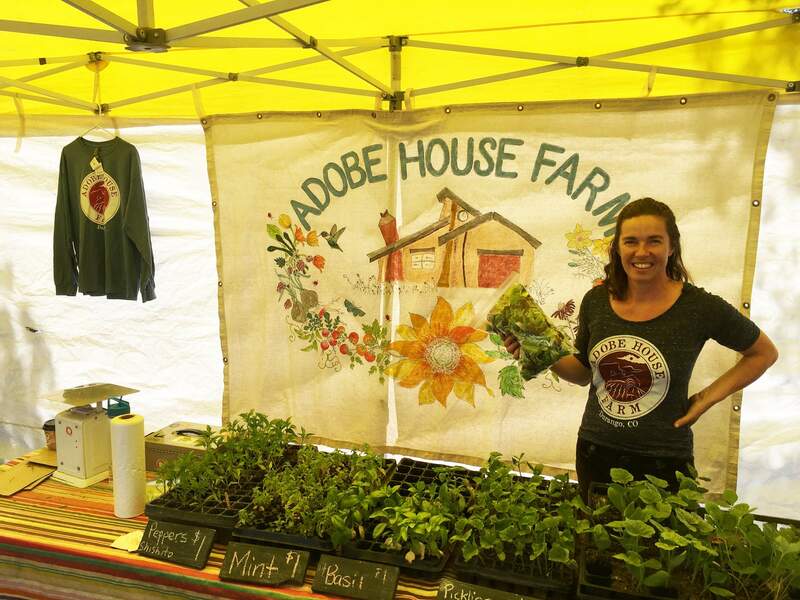 Linley Dixon, founder of Adobe House Farm, works her stand at the Durango Farmers Market recently. The farm will have a permanent home on Thursday in Hermosa. Linley Dixon has had a passion for farming since she was a kid. As a child, she would save her neighbor’s scraps and compost them in her backyard. Dixon started Adobe House Farm eight years ago, and on Thursday, the farm will finally have a permanent location. Their farm will move to a plot in Hermosa after receiving a loan from the Farm Service Agency, a branch of the U.S. Department of Agriculture that awards loans to startup farms. This is the farm’s second year at the location. They spent the first six years renting different plots of land from around the area. Their name, Adobe House Farm, is derived from the first plot of land they rented on. The farm, which is run by Dixon, her husband, Peter, and her brother, Reid Smith, has steadily grown every year. They started with 13 customers the first year, grew to 30 the next, and reached more than 100 in their third year. Now, Dixon can’t count how many customers they have, as they sell to community-supported agriculture members and at the Durango Farmers Market. The Adobe House Farm specializes in greens and tomatoes. The farm has three greenhouses full of tomatoes, which are beginning to come in. They also sell lettuce mix and charred kale. Their farm has been hit with heavy smoke during the course of the 416 Fire, but that didn’t stop Dixon from doing her job. Dixon said the farm experienced a dramatic decline in sales during the course of the 416 Fire, which she presumed was due to the amount of smoke the area received.